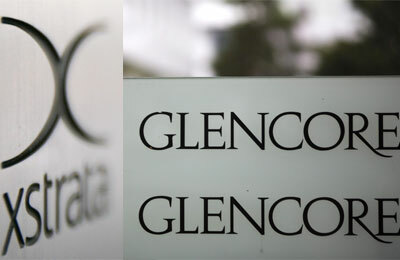 Mining group Xstrata gave its long-awaited blessing on Monday to a revised $33 billion bid from trader Glencore, bowing to investor pressure by changing the deal to ensure a payment plan to keep its top managers does not sink the tie-up. Now investors will be able to vote against the retention plan without endangering the merger, bringing the deal closer to a conclusion almost eight months after it was first announced. In the original all-share agreement, backed by Xstrata's board in February, shareholders had to back both the retention plan, then worth more than 170 million pounds, and the Glencore offer itself - or neither. Xstrata argued its executives would be responsible for achieving the bulk of future profit. The board members later argued changes to Glencore's bid last month - which put the trader's own chief executive at the helm at the expense of Xstrata's veteran boss South African Mick Davis - made the plan even more necessary to avoid a drain of its top executives. Glencore, Xstrata's largest shareholder, was forced to raise its offer last month to 3.05 new shares for every Xstrata share it does not already hold, up from 2.8. This followed opposition from rival Xstrata investor Qatar, which threatened to sink the long-held plan to create a mining and trading powerhouse. Glencore's conditions, however, included making its own boss and top shareholder, Ivan Glasenberg, as chief executive. Without it, and given the imminent replacement of Davis, the deal could see Xstrata's team depleted at an important time for its development, they said. Shares in both Glencore and Xstrata rose in morning trade, with Xstrata up 2.7 percent at 0840 GMT at 983 pence, while Glencore was up 0.4 percent. The prices implied a ratio of almost 2.9 - closer to the revised ratio and up from 2.8 at Friday's close, meaning the market considers the deal more likely to happen as a result of Monday's changes.